While gutter cleaning is mentioned as an important part of your home maintenance, it can seem a bit pointless sometimes. It sounds like an unpleasant or expensive task, but it’s just another part of your home’s regular cleaning that can help you avoid huge costs later down the road. Don’t be worried about what you’ll find in the gutters, because the most common debris that gets stuck is nothing unnatural or disgusting, unless you let it build up for far too long. Even if you look up and can’t see anything blogging your gutters, there may still be a need to clean them out. This is because there are a lot of different types of things that can get stuck inside a gutter, not just the most obvious things! Your gutters may be full of a variety of organic and inorganic materials that are stopping the natural flow of water and putting strain on the system. Instead of letting it sit too long, gutter cleaning should happen at least once every 6 months to avoid ruined gutters. This is the most obvious and frustrating one. 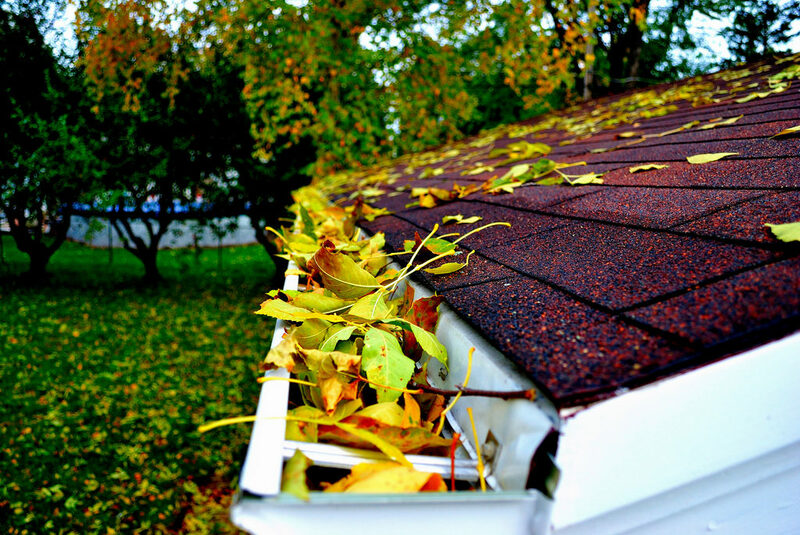 Leaves are easily seen in your gutters from the ground, and they can clog every part of the gutters and make them completely ineffective. Leaves tend to ball up and mix with other dirt and debris to make a big, soggy mess if left too long. Essentially, silt is dirt and other tiny particles that build up a sort of soil layer on the bottom of your gutters. You won’t be able to see it unless you climb up and look at your gutters from above, but it’s actually one of the most harmful build-ups if left for too long. Silt can get heavy quickly and put a lot of unnecessary strain on your gutters. It usually drains down in the tract from the roof, and can be made worse by improperly slanted gutters or a lot of stops in the metal material. One of the downsides to living around green areas with trees is that pieces of those trees (and some other greenery as well) can get stuck in the gutters very easily. It doesn’t have to land there directly, but just need to rest on your roof until it gets brushed down to the edges. 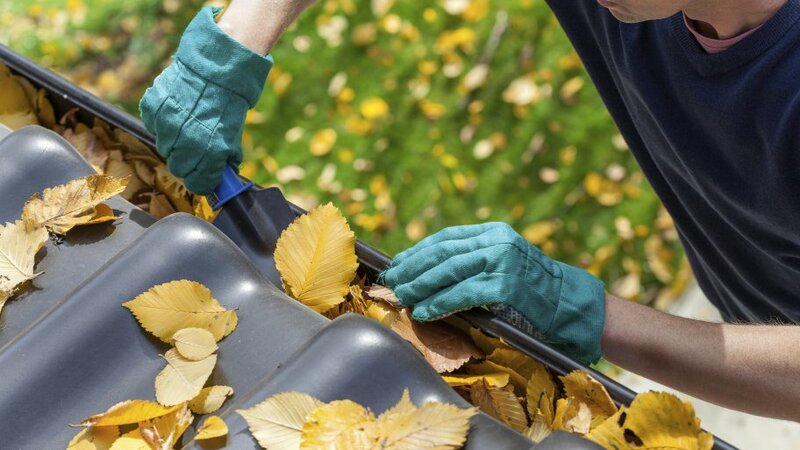 You can find flowers, sticks, seeds, and every other manner of tree pieces in your gutters when you’re cleaning them out! If you’re not diligent about cleaning up the layer of silt, you may find that you’ll start an unwanted garden up in your gutters. Silt in the gutters creates an ideal environment for young plants to thrive, although it’s not a really a good idea for healthy and functional houses. Birds, squirrels, mice, and other small critters enjoy making their nests in gutters because they are enclosed and usually are already holding a lot of the necessary building materials. Even if you like small animals, they can be a real nuisance for your gutters and may create clogs along the piping. If you don’t have kids or grandkids around your house, this might not be an issue for you. But, anyone that has kids playing around the yard will almost inevitably end up with small toys or balls lodged in the gutters. These are also invisible from the ground, but may cause bad clogs later on if regular maintenance isn’t performed. It’s not just leaves that get stuck in your gutters, although they are a main offender if you have a tree. Don’t ignore the other common items in gutters if you want to maintain and efficient water drainage system from your roof. Performing regular gutter cleaning, or hiring the pros to do it for you, can keep these items from making a lasting impact on your gutters.